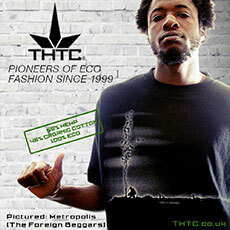 Hemp clothing is a great way to go green and is good for the soul. Hemp is often blended with organic cotton to reduce costs and enhance quality. When it comes to green clothing, hemp is #1. You may just be starting your journey into organic clothing, and if so, it is suggested that you start closest to your body. Try replacing your undergraments first, as these are the clothes that are in close contact with your skin. Wearing eco friendly clothing means no nasty dyes or chemicals that could seep into your body over time. Hemp cotton blends are fairly common. This is done to reduce cost and increase comfort. Browse around and get yourself (or loved ones) some organic hemp clothing! You will be glad you did.